This brand-new release by Tom Tollitsch (album number six) includes a slowed-down version of the Zappa/Duke collaboration 'Uncle Remus'. Suits the Saturday morning quite well. 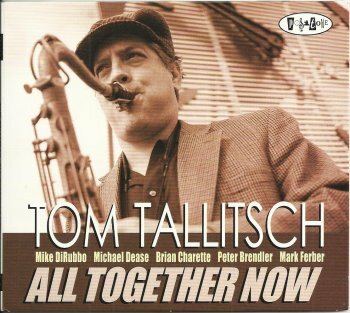 Tom Tollitsch on tenor sax, Mike DiRubbo on alto sax, Michael Dease on trombone, Brian Charette on piano and organ, Peter Brendler on bass and Mark Ferber on drums. After Captain Beefheart, Frank Zappa is also getting a CD set entitled "Transmission Impossible". The Philadelphia Halloween performance of the Sun Ra Arkestra Directed by Marshall Allen on October 31, 2015 at Johnny Brenda's is completely sold out. But, a Halloween celebration (with costumes encouraged) has been added for October 30, 2015 at the Liv Nightclub in Washington, D.C. Also, the band will be making its inaugural visitations to Lovin' Cup in Rochester, NY on November 5, 2015, to the Music Box Supper Club in Cleveland, OH on November 6, 2015, to The Saturn in Sun Ra's earthbound arrival city of Birmingham, AL on February 19, 2016, and to the Ritz Theater in Jacksonville, FL on February 20, 2016. October 30, 2015 - Liv Nightclub, 2001 11th Street, NW, Washington, D.C. Show at 8:00 pm. October 31, 2015 - Johnny Brenda's, 1201 N. Frankford Ave., Philadelphia, PA. Show at 8:00 pm completely SOLD OUT. November 5, 2015 - Lovin' Cup, 300 Park Point Drive, Suite #101, Rochester, NY. Show at 8:30 pm. November 7, 2015 - Private Function, Cleveland, OH. February 19, 2016 - The Saturn, 200 41st St. South, Birmingham, AL. Doors at 8:00 pm with Show at 9:00 pm. February 20, 2016 - Ritz Theater, 829 N. Davis Street, Jacksonville, FL. Show at 8:00 pm. 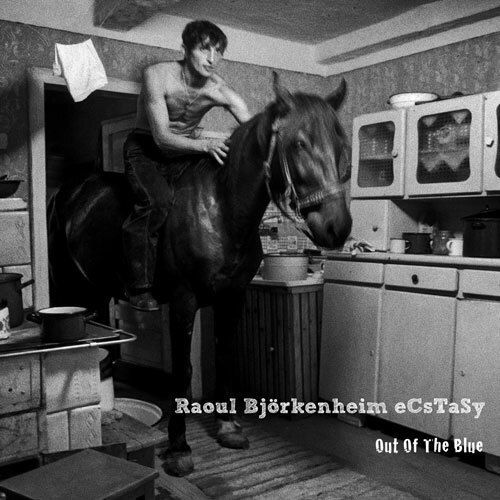 The Raoul Björkenheim Ecstasy quartet has just released their second album. 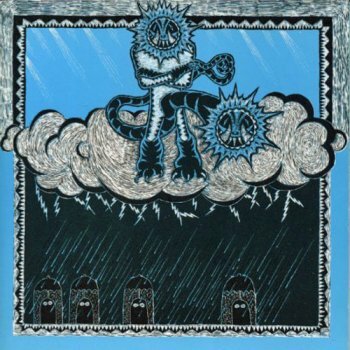 It's called "Out Of The Blue", and it's out on the Cuneiform record label. Next to Raoul Björenheim (on the guitar), the band features Markku Ounaskari (on drums), Jori Huhtala (on bass) and Pauli Lyytinen (on inimitable saxophone). You guessed right. They're Finnish. And what's more important, they sound superb. He's absolutely right. And he shows how it should be done on "Out Of The Blue". Here's a video snippet from the release party of Jono El Grande's latest album, "Melody Of A Muddled Mason". 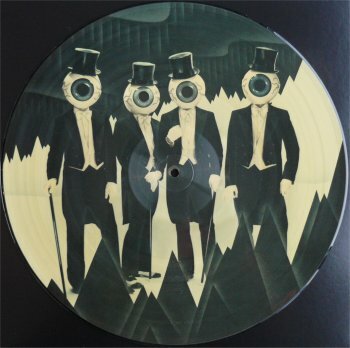 Theory of Obscurity: a film about The Residents is now ready to take on the world. Coming soon to a theater, concert hall, BluRay, DVD or digital download near you soon. Remember the Bambi Pang Pang album that I talked about last week? Well, here's a little video from the recording session !! Bambi Pang Pang: Drop Your Plans. Kevin Kastning is a multi-instrumentalist,composer and musical instrument inventor. 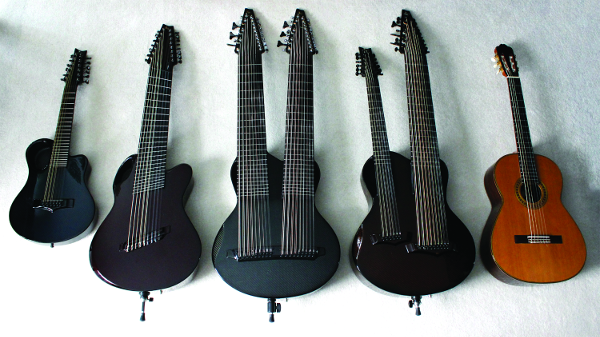 Musical instrument innovater might be a better word as Kevin designed a 36-string double contraguitar, a 30-string contra-alto guitar, a 15-string extended classical guitar and a 12-strings soprano guitar, and I'm only mentioning the instruments that he uses on "Otherworld". Except for the 6-string classical guitar, that is. 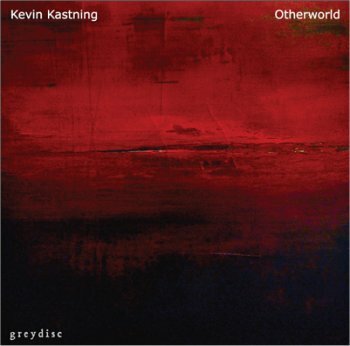 "Otherworld" presents 16 instrumental tracks. And it's only Kevin Kastning playing one of the above instruments. The result does sound rather special. 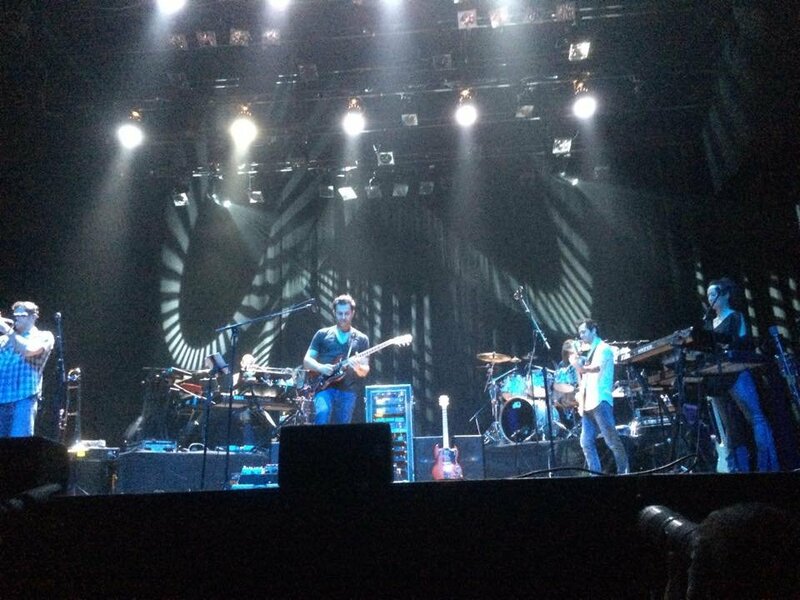 During a recent Zappa Plays Zappa gig, Dweezil Zappa said that his album would be out in about six weeks. That's good news, assuming that it means that it will be released on an actual record label. 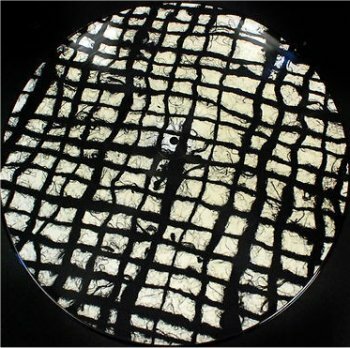 Fundraisers for "Via Zammata' " have already received their copies and these do indeed not mention a record label. Anyway, I received my copy a couple of weeks ago. Shortly after the regular album download, and almost together with the bonus "demos" download. This means that I'm finally able to read who participated in the making of this album as the download did not include an info file. 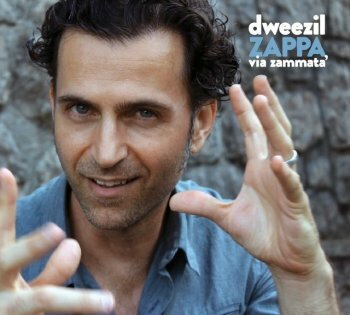 "Via Zammata' " is a fine album: zappa-esque tracks, pop songs, world music influences, and 'Dragonmaster, the lyrics of which were written by dad Frank. A nice mixture. The Zappa Plays Zappa band has about one week of touring left. I saw the band in Antwerp last week and I have to say that it was one of the best concerts that I have seen this year. A great setlist, starting off with the complete One Size Fits All album and continuing with a superb selection of familiar tunes. I loved it. True, Dweezil might not have the charisma that a frontman of a rock band needs, but he did bring a great band along. Great playing. Fun for all. The set opened with the Star Wars theme. Goosebumps !! 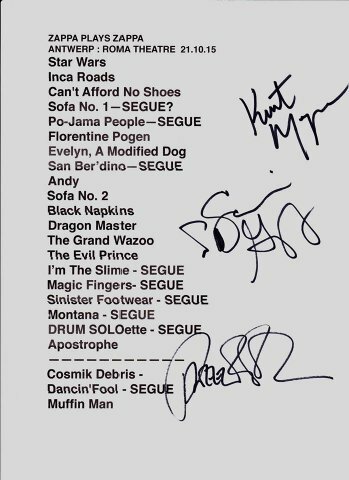 They continued with the complete OSFA album, followed by an excellent 'Black Napkins' and the Frank / Dweezil collaboration 'Dragon Master'. Fun. Highlight was 'The Grand Wazoo', including an improv featuring the fabulous Scheila Gonzales and some hilarious audience participation moments. 'Sinister Footwear' and 'Montana' were other top moments. Did I already tell you that I loved it? 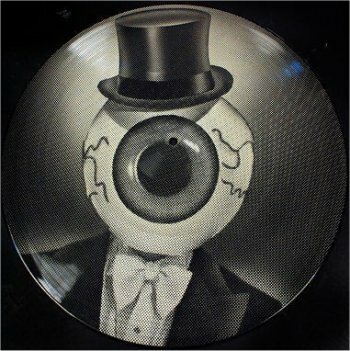 Announced on the Spin CD's website, and it looks like it might be a release on the Gonzo Record label. Sun Ra Arkestra under the direction of Marshall Allen returns to DC following last year's Along Came Ra festival celebrating the centennial of Sun Ra's arrival. The venue is small, so I suggest advanced ticket purchase. Please attend the Dedication/Opening party for the DC Alley Museum and the artists that have painted new public murals (3 out of 6 include an image of Sun Ra). Located in Blagden Alley, between M & N and 9th & 10th Streets, NW, Washington, DC, in the Shaw neighborhood, near LaColomba coffee shop. This is part of a whole series of events devoted to Sun Ra at Nottingham Contemporary. They have assembled an amazing Sun Ra exhibition running from now until January. It features some great items loaned from John Corbett and the University of Chicago Library archives - the first time these have ever been lent out for exhibition. Graham Lock and Christopher Trent have lent Saturn LP sleeves for the exhibition, and they have many different Sun Ra tracks available to hear on headphones, courtesy of Sun Ra LLC. The room as a whole is beautifully laid out, a real tribute to Sun Ra. Legendary bass player Eddie Gomez joins Britten Sinfonia in this programme as part of the EFG London Jazz Festival. A leading member of Bill Evans’ band, Gomez has been working with composer Simon Bainbridge on a new work which will feature Gomez improvising alongside the orchestra. The concert is completed by a rich programme of jazz inflected music by Stravinsky, Zappa and Milhaud. Saturday, 31 October 2015, the HR Big Band is scheduled to perform music by Frank Zappa. The program is called "Jazz From Hell". At the Jazzfestival in Frankfurt, Germany. Chrissie Hynde On The Punk Music Revolution (and more). Alex Machacek's Fabulous Austrian Trio (FAT), featuring bassist Raphael Preuschl and drummer Herbert Pirker is releasing a second album : "Living The Dream"
Sunday, December 20, 2015, The Muffin Men will be celebrating their 25th anniversary at 'The Cavern Club' in Liverpool, UK. 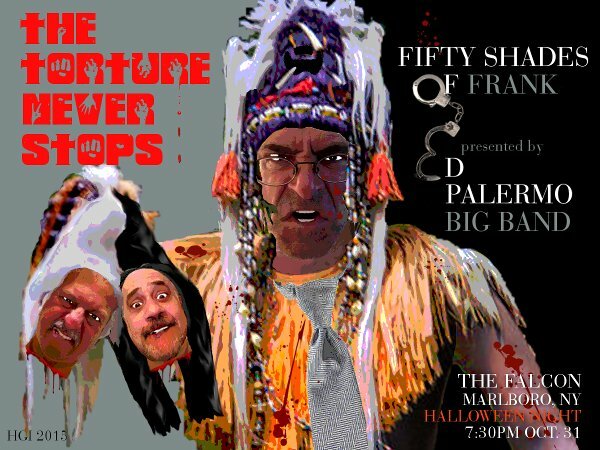 Twenty five years ago a group of scouse meffs (and some bloke from Oxford) decided to get together to play some tunes by Frank Zappa, as a one off gig to celebrate his fiftieth birthday. Twenty-five years, a thousand plus gigs, twenty odd CDs, four(?) DVDs later and they're still at it. Expect a few surprises, some older, fatter, greyer, uglier old gits, along with some lovely tunes, a few laughs, a nice chat and a bevvy. Sunday afternoon, 3-6 ish on 20/12/15. Zappa-aficionado and progjazzfan Chato Segerer will open the evening, presenting his debut album in its entirety, accompanied by accomplished friends on bass, drums, guitar and saxophone. Next in line wil be the Swiss answer to the Secret Chiefs III, splendid instrumental 6-piece Öz ürügülü, with longtime legendary fusionmetal heroes 7FOR4 from Munich brining up the rear!!! The late Jimmy Carl Black was one of the original Mothers Of Invention. He also played with Captain Beefheart, Arthur Brown, Eugene Chadbourne, The Grandmothers, and many, many more artists and bands. But Jimmy also was a sculptor and Galerie Siegsdorf will be doing an expo !! If you can't make it to this exhibition of some of Jimmy's many fine soapstone sculptures, visit www.jimmycarlblack.com to view photo galleries of all his sculpting, as well as find out how to see Jimmy's movie, now out on DVD. 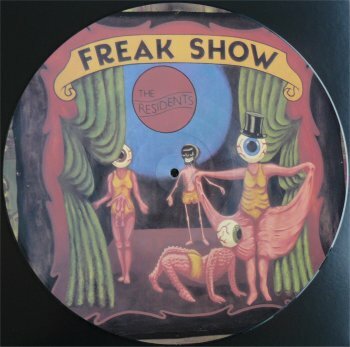 Adding more data to The Residents' discography over at the United Mutations Archives. Limited 180 gram vinyl LP repressing. The first release under the new Zappa Records/UMe agreement, this is the remastered 40th Anniversary Edition of Frank Zappa and the Mothers of Invention's One Size Fits All album, originally released in 1975. The album features the final version of the Mothers of Invention, with George Duke, Chester Thompson, Ruth Underwood, Tom Fowler and Napoleon Murphy Brock. Glad to see pre-orders for the Roxy DVD all over the place. DVD/CD. Frank Zappa's concerts at the Roxy Theatre in Hollywood in December 1973 are legendary. Frank and the Mothers played three nights on December 8th, 9th & 10th and these shows formed the basis of the 'Roxy & Elsewhere' album that was released in 1974. However the performances were also filmed in 16mm and this footage has been sitting in the Zappa vault ever since. Now fully restored by the Zappa Family Trust this live concert film is being made available for the first time. It captures Frank and the Mothers at the height of their powers and includes material that is unique to these performances. This is a highly anticipated release for Zappa fans who have waited many years for the concert footage to finally be released. Christel Jacobs has made a comic book about The Residents' visit to the Eyeball Museum in Germany. Psychofon Records has released a poster and the comic. A 7 LP vinyl George Duk box, entitled "The Era Will Prevail - The MPS Studio Years (1973-1976)", has been announced. The box will include "The Inner Source", "Faces In Reflection", "Feel", "I Love The Blues, She Heard Me Cry", "The Aura Will Prevail" and "Liberated Fantasies". Should be out later this month. Brewed Junks are scheduled to perform at Achter Ham in Ghent on November 15. Reason enough to keep an eye out for them. Nov 5 Karlsruhe, DE KOHI Kulturraum e.V. 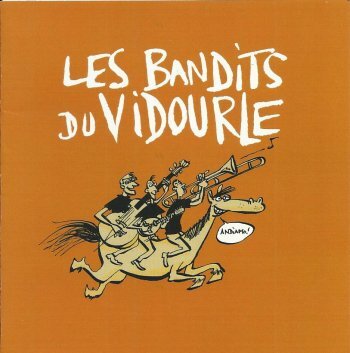 This 2007-release by Les Bandits Du Vidourle not only presents a beautiful version of FZ's 'Bow Tie Daddy' (double bass, kazoo, ukulele and vocals in english and in french) but also an excellent version of Don Van Vliet's 'Frying Pan'. 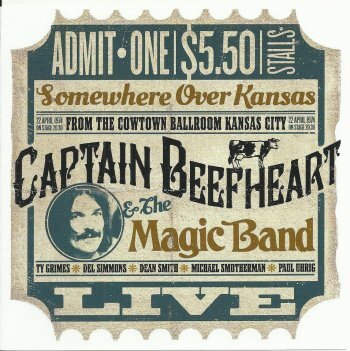 "Somewhere Over Kansas", or "Live From Kansas 1974" as it reads on the spine, is the fourth album in Gonzo's Captain Beefheart concert series. This is the so-called Tragic Band, but Don seems to have fun and sounds in fine shape. Sort of easy listening, bluesy Beefheart, with the exception of the out-of-place 'Sweet Georgia Brown'. 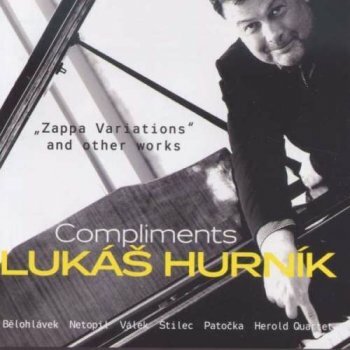 Lukáš Hurník (born in Prague in 1967) : composer, graduated from Charles University with a degree in Music Studies. He learned to compose from his father, composer Ilja Hurnik. He works as director manager of Czech Radio 3 - Vltava, and is mainly concerned with musical education programs. In 1990 his composition Hot-Suite for piano duo won first prize at the Piano Duo Association of Japan contest. His compositions have been awarded a number of honors at Czech and international competitions. A strong rhythm and melody and polyphonic voice parts are typical of Hurnik's synthesis. The author does not feel a need to seek out ever new means of expression at all costs. Rather, he enjoys using a traditional approach to describe new content in an interesting context. January 14, 2004, the Pražskou Komorní Filharmonii, conductor Jiri Belohlávek and soloists Katerina Stupková and Pavel Fiedler, performed his "Variace Na Lumpy Gravy" (Variations On Lumpy Gravy (Frank Zappa)). 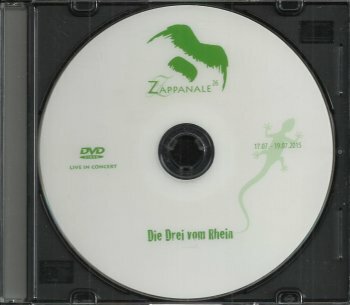 The performance, as well as a sequencer version of the piece were released on CDR by the Czech Zappa Fan Club in 2005. Finally, this superb Zappa tribute gets an official release on "Compliments". Recorded in conert on January 19, 2004 at the Czech National Bank Hall. Philharmonic (Variations On) 'Lumpy Gravy'. I only discovered this album when I was browsing the internet for more info on the band's excellent (and recent) "Francesco" album. 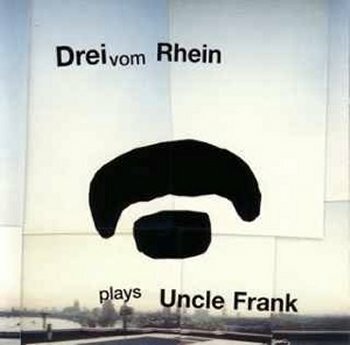 This is Drei Vom Rhein's fifth release. The first one on which they play Zappa's music. This is incredible. An excellent Zappa tribute by DvR. An essential part of any Zappa collection. 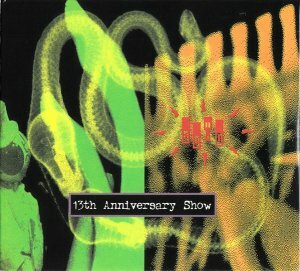 A tour, and a 5 CD-box !! Bambi Pang Pang (does this sound like a chinese dish to you as well?) is Seppe Gebruers (piano), Laurens Smet (bass) and Viktor Perdieus (saxophones). You might know their names as the three of them are part of Ifa Y Xango. The fascinating Jazz Middelheim concert of Bambi Pang Pang with the 75-year old Andrew Cyrille can be heard on the band's Soundcloud page. As the collaboration was a success, plans were made for an album. And that's where the El Negocito Records label joined in. "Drop Your Plans" is an impressive album. Parts composed and other parts completely improvised. Download-only John Trubee album from 2014. 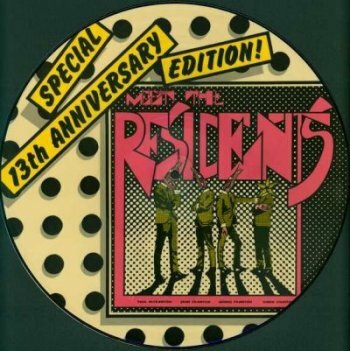 Recorded on September 23rd, 1979 in Freddy Reed's basement in Yardley, Pennsylvania. I organized this zero budget recording session to record some dreamy, hypnotic music suggestive of desert expanses to listen to in the car on my then upcoming transcontinental road trip to California. Utterly, totally improvised. Performed, invented, and recorded TOTALLY FOR FUN!!!!!! 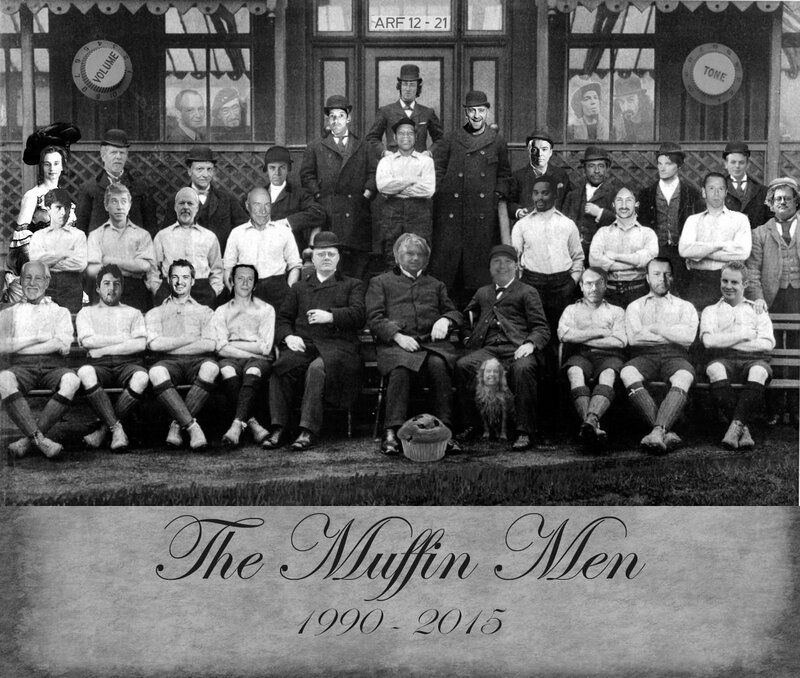 The Muffin Men will be celebrating their 25th anniversary with a tour in November and a gig at The Cavern (in Liverpool) on December 20. 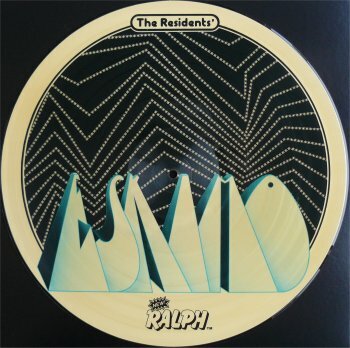 The Klang Galerie label has reissued two superb Residents albums. I loved the interview with Mike Keneally, and now there's one with Steve Vai ! Jono El Grande is a composer and musician from Norway. He's one of those composers who isn't afraid to use a marimba (and to sound Zappa-esque). 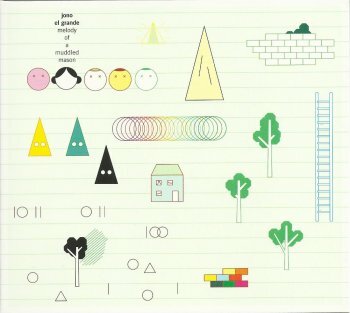 His latest release "Melody Of A Muddled Mason" has just been released on Rune Grammofon and it's a superb release. The latest Charles Bobuck contraption is called "What Was Left Of Grandpa". "What was left of Grandpa was pretty much the same as what was right about Grandpa. He was my namesake and therefore impossible to forget, despite not being particularly memorable. What was right about Grandpa was his love of jazz, and what was left of Grandpa was his collection of 78s. Left to me, at least. He was the one who first pulled earphones over my six year old head while mumbling, "Listen to this." The headphones smelled like cigarettes. The sound, however, immediately flushed Disney tunes from my young brain. He weened me on Stan Keaton's Artistry in Rhythm and Henry Mancini's Peter Gunn. By puberty I was an absolute fan of Bob Graettinger. In high school I followed the careers of Pete Rugolo and Billy May as closely as my peers followed Peter, Paul & Mary and Ray Charles. Grandpa Charles would not think this album jazz. But I do. Here it is, What Was Left of Grandpa." 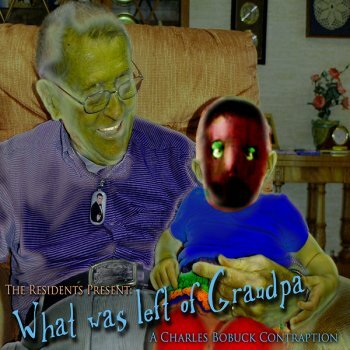 The wonderful new album by Charles Bobuck, composer of The Residents. A beautiful mixes of styles, melodies and ideas. Featuring guitar work by Mr. Nolan Cook. Stefan Hüfner's Zappata project (performing the music of Frank Zappa) started out in 2011 with a concert te Nevembermusic Festival in Essen. The ensemble performed at Zappanale, Sunday July 17, 2015. Sunday afternoon. First band of the final day. They did a good job. A bit too much talking in between the songs, but there were nice moments. The female vocalist did an excellent job, with Werner Neumann (from Drei Vom Rhein) on the guitar!! Superb. A DVDR-recording of the concert was made available during the festival. I saw the Zita Swoon Group perform "Nothing That Is Everything", their tribute to Dada, last weekend. Lots of 80's avant-garde / pop sounds. The Sun Ra Arkestra Directed by Marshall Allen is continuing onward with its 2015 World Tour and preparing for next year's celebrations of the Sun Ra Arkestra's 60th Anniversary with an October trip to England including its 10th visitation to the Cafe Oto in London on October 24, 2015 and participating in support of an Alien Encounters exhibition at the Nottingham Contemporary museum in Nottingham on October 25, 2015. Also, the band in will be making its inaugural visitations to the Brooklyn Bowl in Brooklyn, NY on October 22, to Lovin' Cup in Rochester, NY on November 5, 2015, to the Music Box Supper Club in Cleveland, OH on November 6, 2015, to The Saturn in Sun Ra's earthbound arrival city of Birmingham, AL on February 19, 2016, and to the Ritz Theater in Jacksonville, FL on February 20, 2016. The Arkestra will also be continuing its tradition of special Halloween manifestations when it lands at Johnny Brenda's in Philadelphia, PA on October 31, 2015 where many other exceptionally unique and celebratory events have occurred in the past. October 22, 2015 - Brooklyn Bowl, 61 Wythe Ave., Brooklyn, NY. Doors at 6:00 pm with Show at 8:00 pm. October 24, 2015 - Cafe Oto, London, England. Two separate shows at 2:00 pm and 8:00 pm. October 25, 2015 - Nottingham Contemporary, Nottingham, England. Show at 8:00 pm. October 31, 2015 - Johnny Brenda's, 1201 N. Frankford Ave., Philadelphia, PA. Show at 8:00 pm. Graphic artist Juanjo Guarnido, known for the comic book hit series, Blacksad, was formerly an animator. 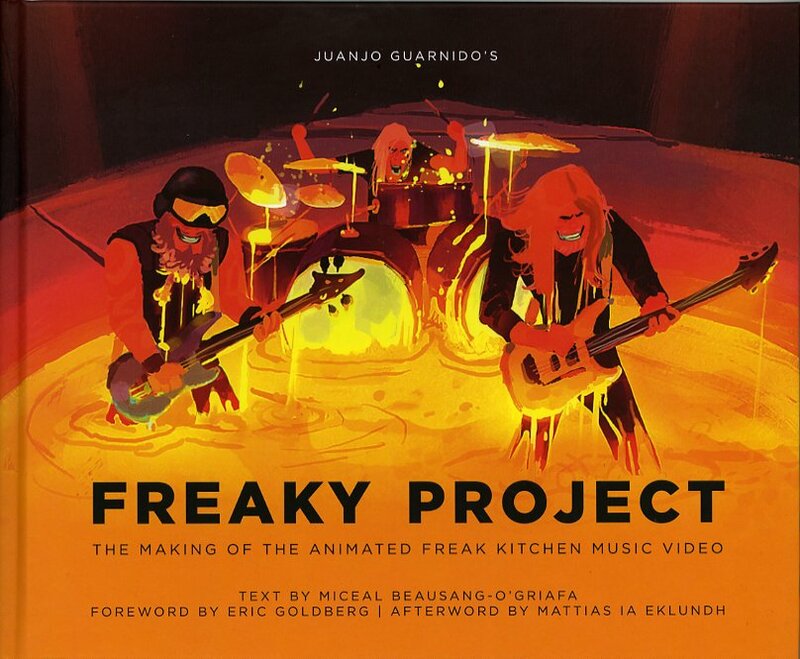 With the cooperation of his favorite band, Freak Kitchen (featuring Mattias IA Eklundh), Juanjo animated their song, Freak of the Week. In conjunction with the video, Juanjo with Big Wow! Art has published a 176 page hardcover artbook, Juanjo Guarnido's Freaky Project. Alan Jenkins wants to release "Free Surf Music #4" on his Cordelia Records label. A new Devo release has been announced. It will be tentitled "Social Fools" and it will present all the singles that Devo recorded for Virgin. A- and B-sides plus three previously unreleased tracks. 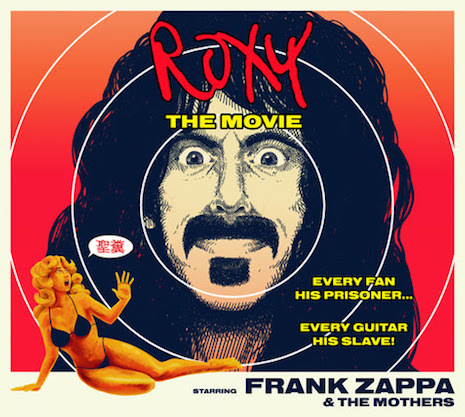 Frank Zappa's "Roxy The Movie" got a screening in L.A. a couple of days ago. Those who were there (and who shared their comments on Facebook and / or Zappateers) were very enthousiastic. There was a talk after the movie with interesting items. There was a lot of editing done, even within songs. There were 3 nights of shows, so they tried to find the best stuff. Only some of it is the same as what is on the Roxy album. Village did not make it. The album version had massive vocal overdubs, and without that help, apparently it was pretty weak, which is no surprise. I would have liked to hear Pygmy Twilight, but it is not in there. I have only 2 things I would have done differently. It starts off really slow with a long, bluesy version of Cosmik, with way too many blues changes solos. That is followed by Penguin, also slow and my least favorite song from the album. So the first 20 minutes are not so great IMHO. The rest is fabulous, up until the end with all the people dancing on stage on stage. Theatric, I guess, but it lost my interest. And I hope it was the sound system in the theater, but I could almost not hear Tom's bass at all! Too bad, because he is so great, and him playing Echidna's was one of the reasons I took up the bass! Still, all in all, I say buy it! 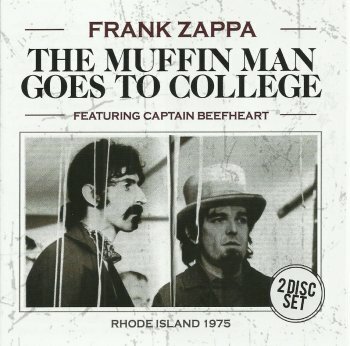 The dubious Frank Zappa album "Muffin Man Goes To College" that got released as a 2CD set a little while ago, has also been spotted as a vinyl set. Volume 1 on blue vinyl, and more recently, Volume two on yellow vinyl. German band Frank Out' will be celebrating Frank Zappa's birthday with a Zappa tribute concert. Special guest for the occasion is Napoleon Murphy Brock. 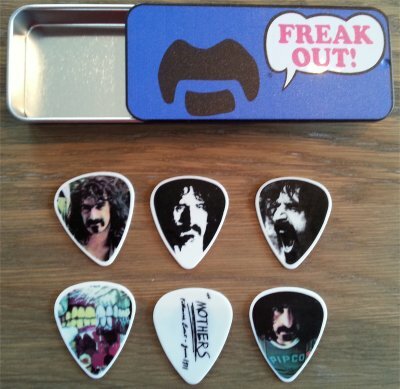 Old news for some, I guess, but I hadn't seen these before: guitar picks with the picture of Frank Zappa. In a blue or yellow metal slipcase. 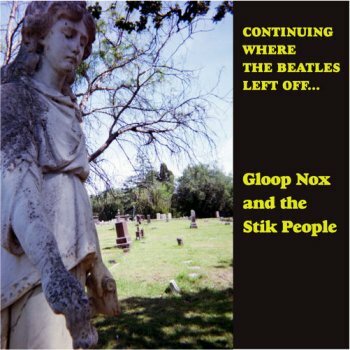 In 1973, while attending Lawrenceville School, John Trubee joined Jim Nevius' Gloop Nox & The Stik People. The band existed only for a couple of years. Early 2011, John Trubee and Jim Nevius decided to reform the band to record the songs that they had written all those years ago. Just for fun. 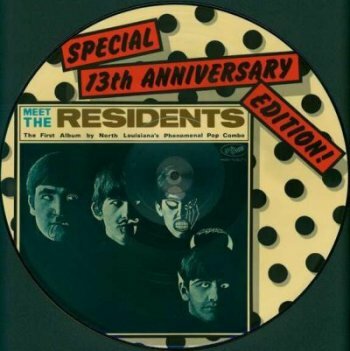 The recordings got released as "Continuing Where The Beatles Left Off..." earlier this year. The album got released on plain old vinyl by John Trubee and presents 9 tracks. 5 were written by John Trubee, the other 4 by Jim Nevius. I enjoyed listening to "Continuing Where The Beatles Left Off...". The songs do sound as they were written in the 70's, obvious psychedelic influences included, but they also carry the distinct Trubee stamp. Caballero Reynaldo is responsible for most of the songs appearing in the new film "Amor Tóxico (Toxic Love)", directed by Norberto Ramos del Val, which will premiere in the European Film Festival to be held in Seville next month. Today we release the official videoclip of the movie, featuring Caballero Reynaldo and Rebeca Ibañez performing the classic King Crimson track "Starless" This cover follows the path started in the "In The Lounge of the Naldo King" CD released earlier this year and is also available as from today as a separate digital download. The end credits of the movie feature "Chicas con Ukelele" by Pentatronika, also released by Hall of Fame Records, and the soundtrack has been composed by José Sánchez-Sanz. This week on the Dwalmacat radio show ! Next Friday, October 16, 2015, Hermine Deurloo (on chromatic harmonica) and string quartet Zapp4 will be doing a concert at 'Paradox' in Tilburg, NL. 2004 saw the release of "Monster Road", a documentary about Bruce Bickford by Brett Ingram & Jim Haverkamp. The documentary was made available on DVD in 2006. 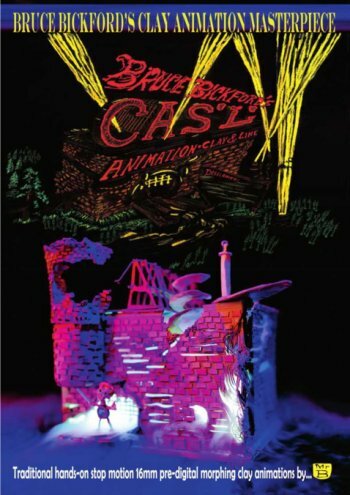 Earlier this year, Leisure Class Productions released Bruce's latest production: "Cas'l' ". 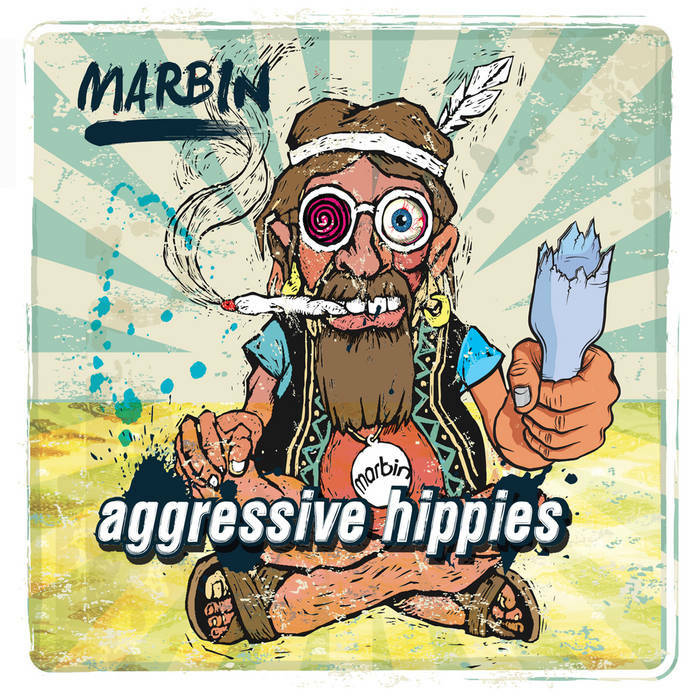 The new Marbin album is out on the MoonJune Records label. Joe Satriani with Mike Keneally, Bryan Beller and Marco Minnemann !! On Tour again with Ike & Denny in October 2015 !! See you then! 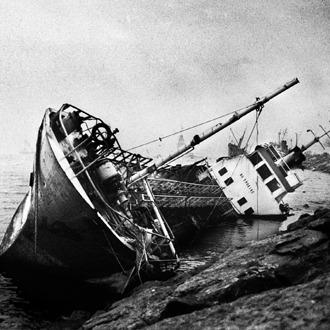 Rhode Island 1975. An excellent concert. Do I have to add that this release is not approved by the Zappa Family Trust? 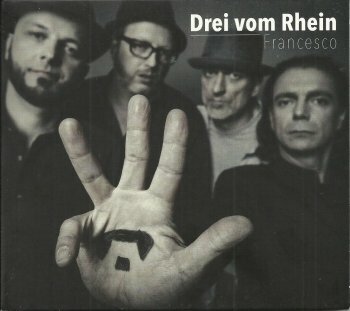 German quartet Drei Vom Rhein has recently released their sixth album, "Francesco". I picked up a copy of "Francesco" shortly after their astonishing Zappanale concert. At the Zappanale festival, the band performed an all Zappa set, except for one piece, a Zappa tribute called 'Francesco'. On their latest album, DvR presents a number of original tunes next to a fine section of Zappa-penned compositions. It's a fine mixture. I really like the original tunes (all written by guitar player Werner Neumann), but what these guys do to the Zappa stuff is absolutely terrific. 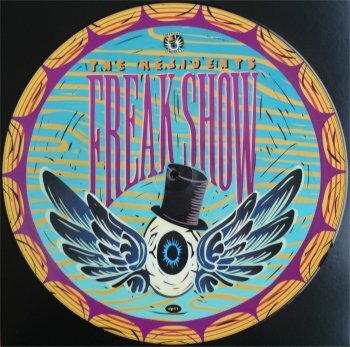 As the album title suggests, one can also find the Zappa tribute 'Francesco' on this disc. 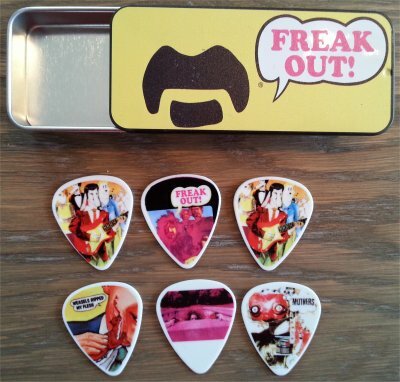 Essential listening for Zappa freaks. Here's a live rendition of 'Small Blues', also to be found on "Francesco". We are very excited to announce Gov't Mule's annual New Year's Run December 30th and 31st at the Beacon Theatre in New York, NY, and January 2nd at the Tower Theater in Philadelphia, PA.
Jesus Is My Son is Grégory Duby. Solo. On electric guitar. You might also know Grégory from K-Branding. "Sacrifices Odieux Revisited" is Jesus Is My Son's third released. The first album was entitled "Je Suis Dieux", the second one "1914-1918". Quite dramatic titles, as reflected in the music. "Sacrifices Odieux Revisited" was released on cassette by Cheap Satanism Records. 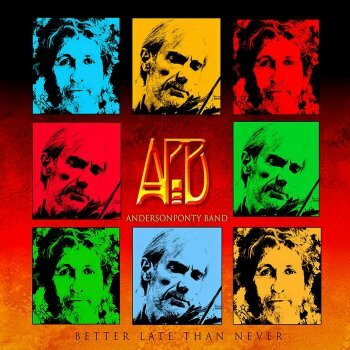 The Anderson Ponty Band album is out. I got the CD / DVD package and have to say that I'm quite happy with it. The CD is fine, but the DVD really does it. Recorded in concert in Aspen, Colorado, September 2014. The Sub Rosa record label recently released the second album by this (more or less) French combo. 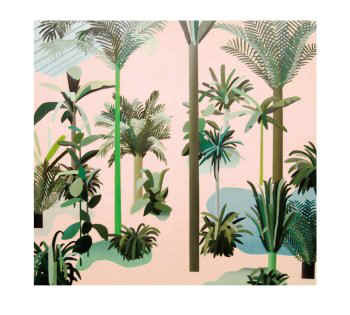 Oiseaux-Tempête unites Frédéric D. Oberland and Stéphane Pigneul (both from Farewell Poetry and Le Réveil des Tropiques), Ben McConnel (Beach House and Marissa Nadler), Gareth Davis and G.W. Sok. Contrary to what one might expect from the mutated album title and the picture of an unfortunate incident, "Ütopya?" does not display a dark, dreary message. It's energetic and dynamic music. Friday, July 17 2015, Drei Vom Rhein opened the Zappanale festival in Bad Doberan, Germany. True, the party had already started one day earlier in the centre of Bad Doberan where Napoleon Murphy Brock and Mats Öberg had played an incredible set of Zappa music, but Friday was the day to get the ball rolling over at the festival ground. I had heard good things about Drei Vom Rhein. I was told that they had been scheduled to appear at Zappanale in 2007 already and that they had been performing the music of Frank Zappa on a regular basis. The band played an amazing set. Every song got a special treatment. One suprise after another. Next to the Zappa themes, the set included 'Francesco', a fine Zappa tribute (written by Werner Neumann). Great vocals. Superb guitar playing. A quartet that played with verve. This was a fabulous opening concert for the festival. I was glad that it got captured on video. Later the same day, I found out that the band had just released a new album, "Francesco". I didn't hesitate for a second and took a copy home. More on that very soon.